A few stumpy fairy nooks appeared in the studio this week. I had other plans for them, but they went in a direction I was not expecting shouting "FILL ME UP WITH LOVELY THINGS!" And I know better than to fight against shouting work. Made from a mishmash of materials. Recycled bits, natural elements and faux toadstools and mushrooms. 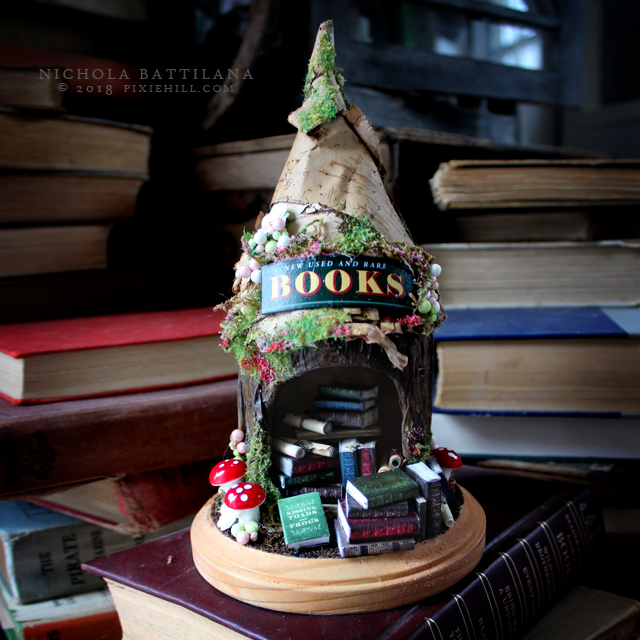 All of those wee books inside are handmade. (If you want to make your own handmade books I have a tutorial available HERE) Overall the nook measures just 8.5" x 5". 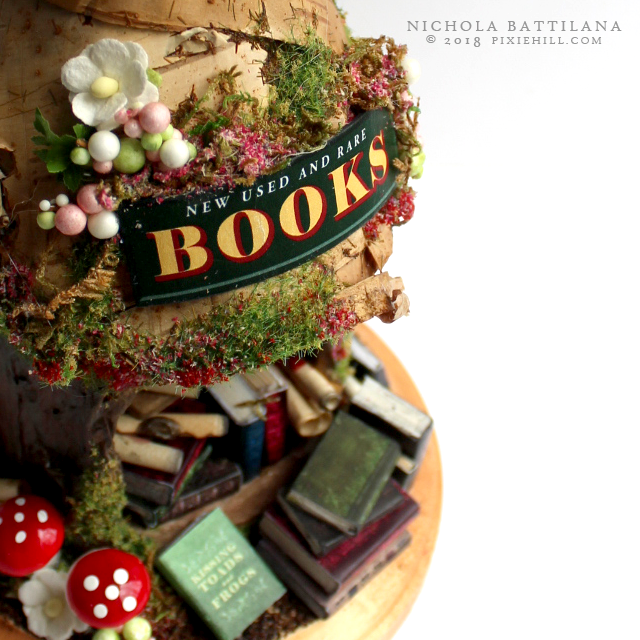 Do your fairies like books? What's their favourite tale? 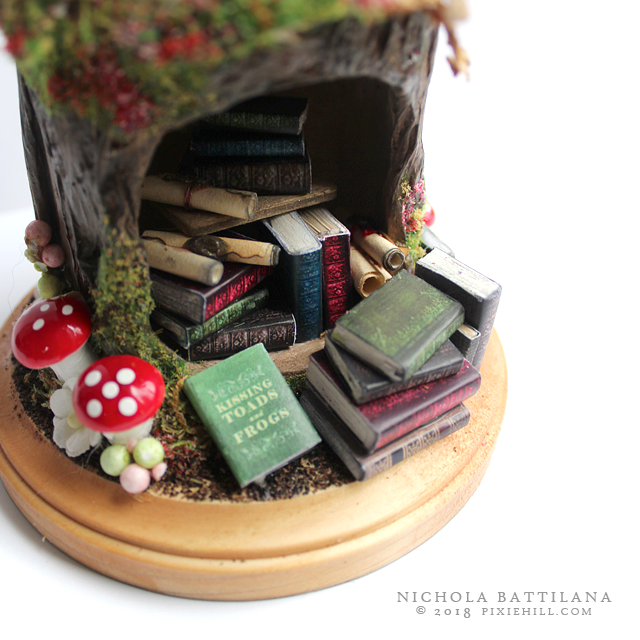 The Fairy Book Nook is listed HERE. 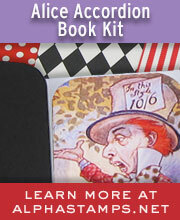 Be sure to visit again to see the other nooks that appeared in my studio this week. All hail to the queen of miniatures. You've done it again! Pure perfection. Nichola, I have been checking out all of these wonderful little houses you have designed and created and I must tell you they are fabulous!! Your are so talented and oh so magically clever Missy!